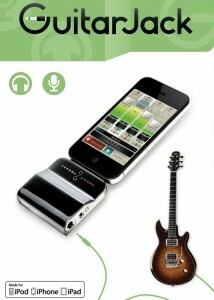 A quick overview of the GuitarJack Model 2 Audio Interface for iPhone 4, iPad 2, iPad, and iPod touch. GuitarJack Model 2 connects instruments and microphones into compatible iOS devices via 1/4-inch instrument and 1/8-inch stereo mic/line inputs. When used with the FourTrack and StudioTrack iOS apps, GuitarJack offers stereo recording, simultaneous instrument and voice recording, level control and crosstalk-free input monitoring. All guitar audio featured in this video was recorded with GuitarJack Model 2, the FourTrack app, and a Taylor SolidBody Standard guitar (shown). GuitarJack Model 2 is compatible with iPhone 4, iPad 2, iPad, and iPod touch (2nd, 3rd, and 4th gen). Gibson has introduced The Firebird X digital guitar, a new guitar that applies digital technology to the traditional guitar. The Firebird X features a lightweight body made from hand-sorted swamp ash, with a rock maple neck and curly maple fingerboard. The guitar is a bit more than six pounds in total weight. Special resonant chambers not only decrease total weight, but also allow acoustic-like tones and increased overall sustain. The guitar is louder than a typical solid body with substantial tone from lowest bass note to highest treble note. Check out the video for an intro to the Gibson Firebird X and below for a detailed list of the features. The Gibson Firebird X Digital Guitar lists for $5,570. Sonoma Wire Works has introduced the GuitarJack Model 2 audio interface, designed to connect a wide range of instruments, microphones, and other audio hardware to the iPhone, iPad and iPod touch via 1/4 inch instrument and 1/8 inch stereo mic/line inputs. GuitarJack Model 2 offers stereo recording, simultaneous voice and instrument recording, 60 dB of continuous level control, configurable Pad, Lo-Z and Hi-Z modes, and increased drive for headphones. 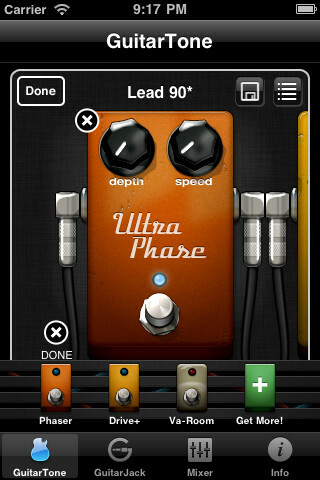 GuitarJack Model 2 is compatible with iPhone 4, iPad 2, iPad, and iPod touch (2nd, 3rd, and 4th generation). FourTrack, StudioTrack, TaylorEQ and the new GuitarTone App include the GuitarJack control panel, where users can select an input and set the input/recording level. GuitarJack also provides a input/output solution for third party amp models, tuners and recording apps. GuitarJack Model 2 is expected to ship in 4-6 weeks and can be ordered now for $149.